Apart from going out to dinner with my husband, I've never really done much for Valentine's Day in the classroom or with my own kids at home. 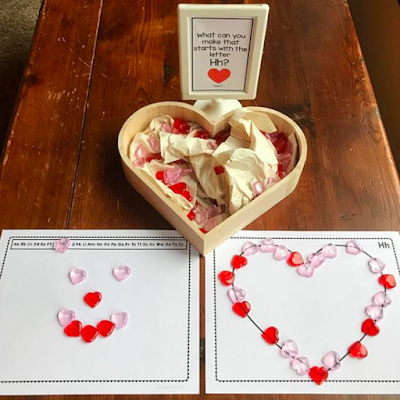 But lately I have seen some of the cutest, sweetest ideas on Instagram that I just had to share them and try some myself (or share with my teaching partner because she'll be the one in our room on the actual day). Valentine's Day has evolved to being more of a celebration of the special people in your life and recognising the things that you love. 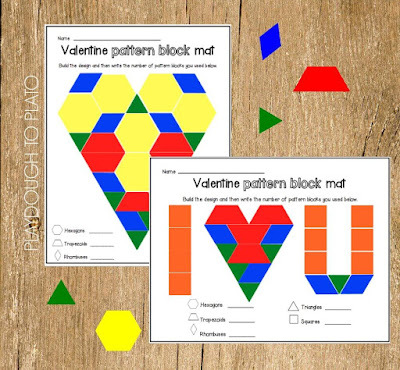 So with that in mind, I thought I'd share these oh so gorgeous activity ideas! 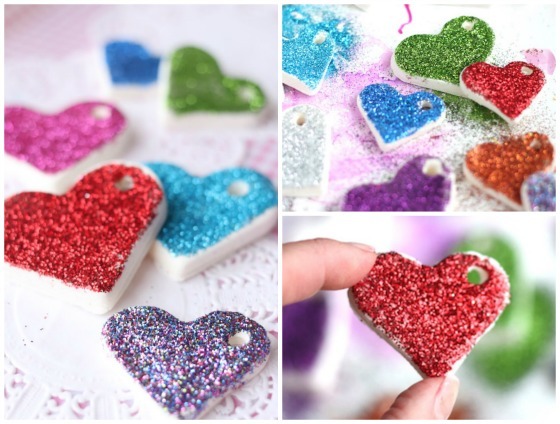 First up are these 2 ingredient clay dough glitter hearts which I could totally see being hung as ornaments on a twig tree in your classroom. They sound really simple to make - but plan to make them ahead of time if you want the children to take them home to give as gifts. They could also be repurposed as Christmas or Easter tree decorations! Making simple play dough hearts would also be a great idea. 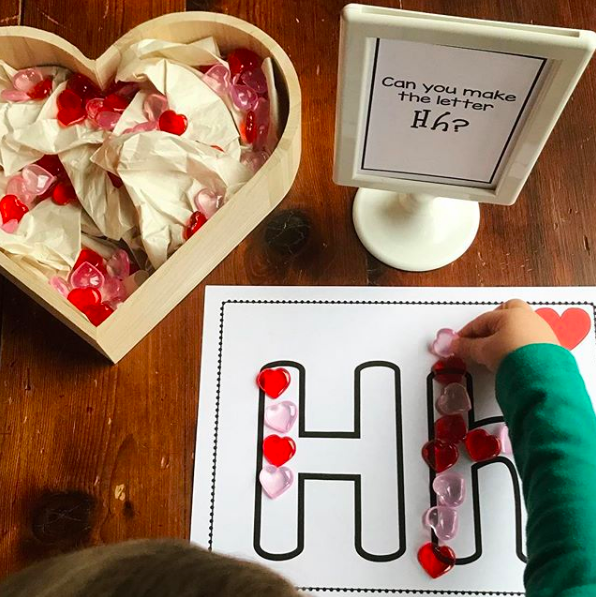 Tara from Little Pine Learners is one of my favourite "Reggio Inspired" accounts I've been following lately, and she has lots of beautiful Valentine's Day ideas. I am in love with this heart bowl - she tells me it's from Target, but I am yet to find one! Some red rice in here makes the perfect sensory writing tray. 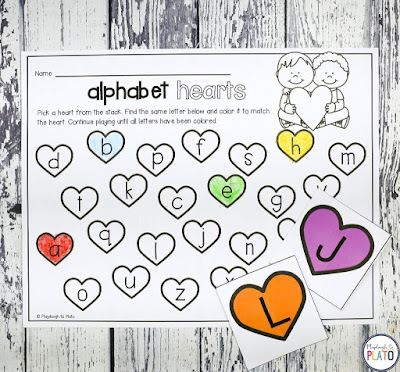 Valentine's Day would be a fantastic opportunity to teach (or revise) the letter "H" for "heart". 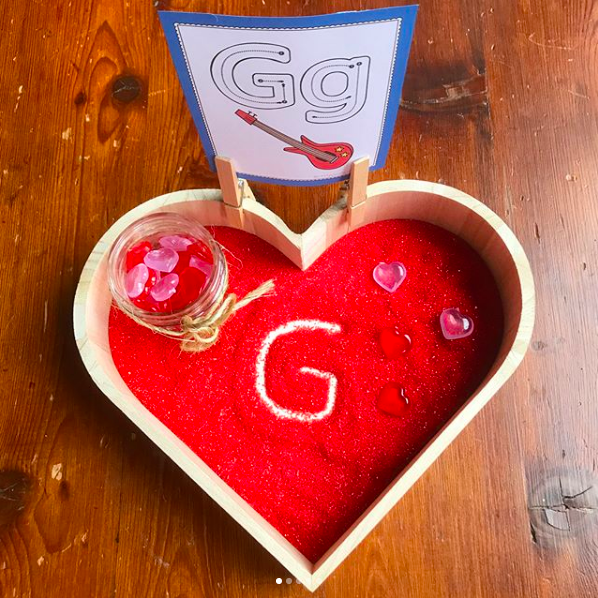 Pictured here (also from Little Pine Learners), children used heart gems to place on the letter "H" and also in a love heart shape. 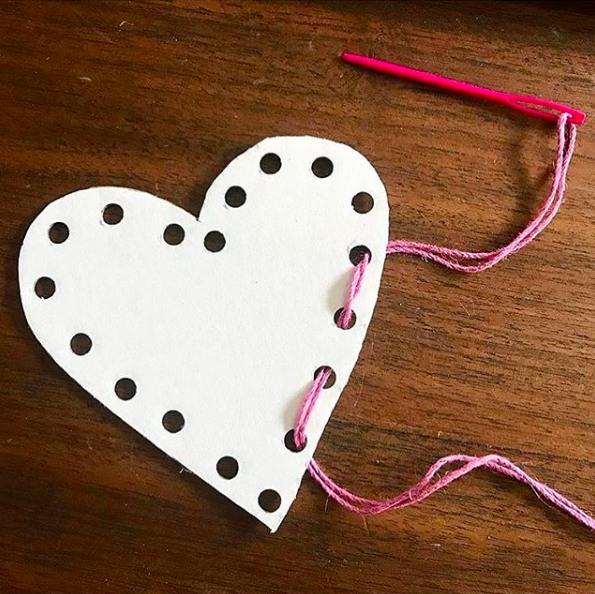 You could also ask your students to trace over the heart shape using any loose parts you've got. 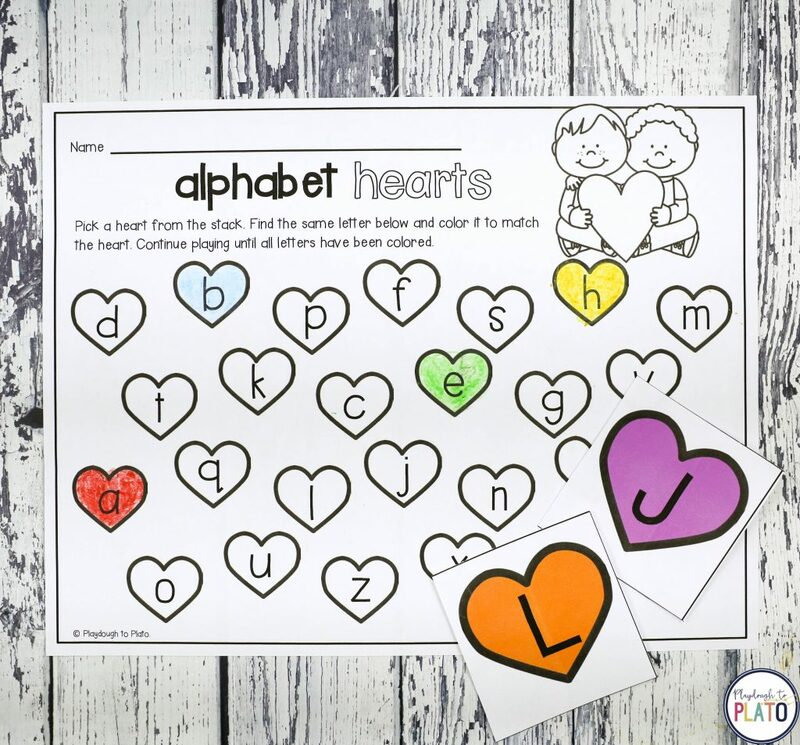 Speaking of letters of the alphabet, Playdough to Plato has made this cute heart matching game where the children turn over an alphabet card, find it on their sheet and colour it in. I'm sure there are many more ways you could come up with to use this cute printable! 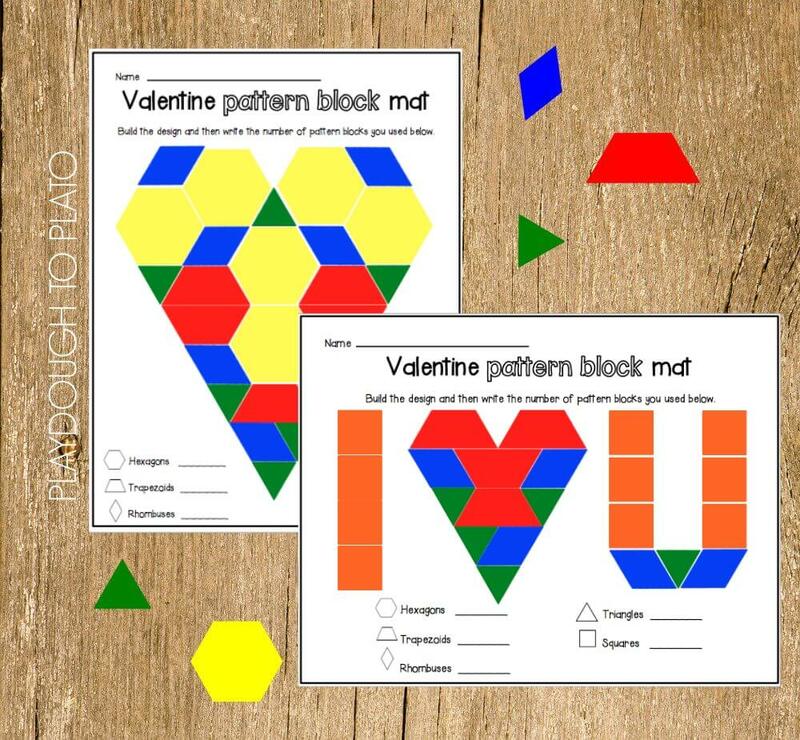 Playdough to Plato have already created these pattern block mats. We've been using letter and number mats similar to these and they are such a great activity for small groups. Definitely going to print this one for my class. 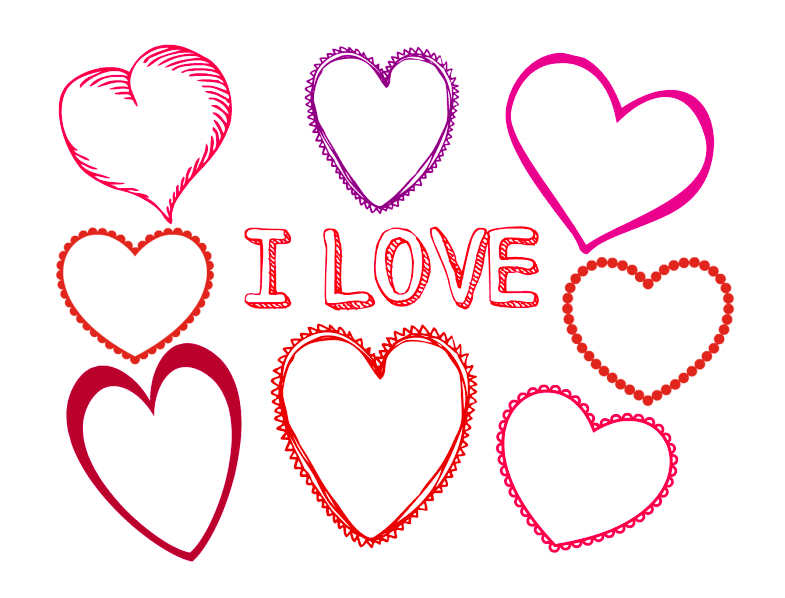 Another cute printable I found over at Nurture Store is to simple write or draw things that you love inside the love hearts. This is a great beginning of year activity as we are getting to know our students and their interests. I'm thinking this could be a lovely display or a page in our student's portfolios. 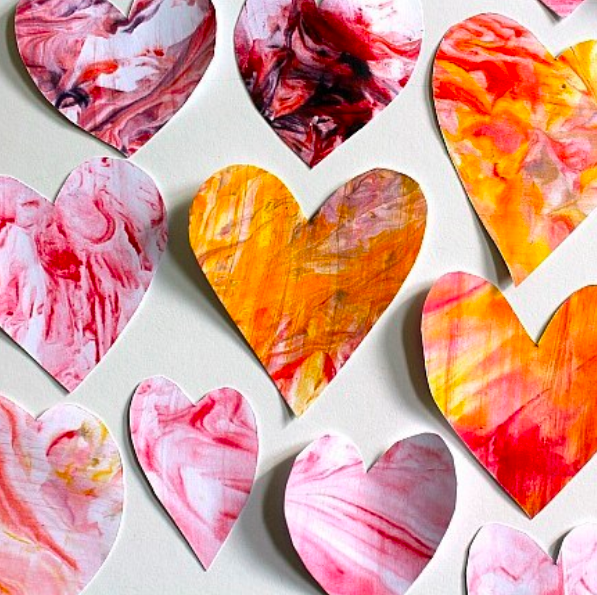 Cathy at Nurture Store, also recently shared these pretty marbled hearts on her Instagram. Believe it or not this gorgeous effect was created with shaving cream and food colouring! What a fun sensory art idea! Threading is a fantastic way for children to develop their fine motor skills (which is so important for pre-writing). Naturally Curious Children shared this cute lacing heart idea. 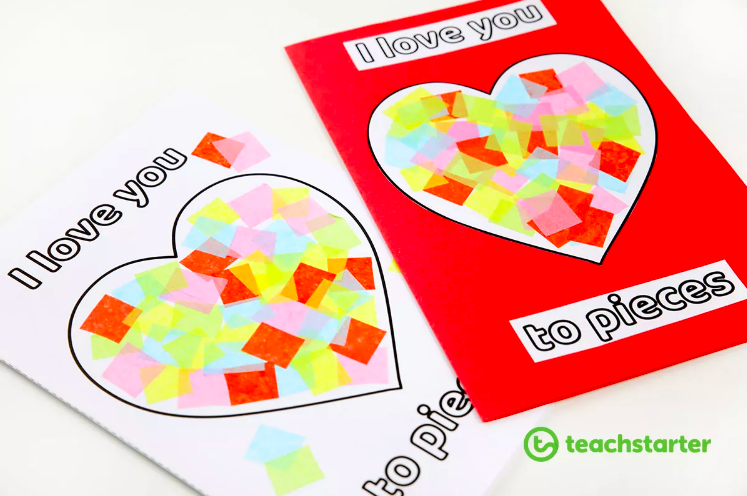 Teach Starter have created their own printable version of the cute "I love you to pieces" card which you've probably seen before. This is a great one for younger children to when all they have to do is glue the little pieces of paper onto the heart. Clear contact would also work really well! 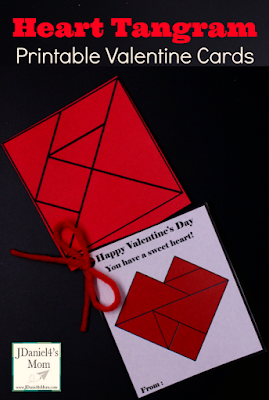 Tangrams are such a versatile geometric resource, and I love that a heart can be created using the shapes. These great ideas was from J Daniel 4s Mom. 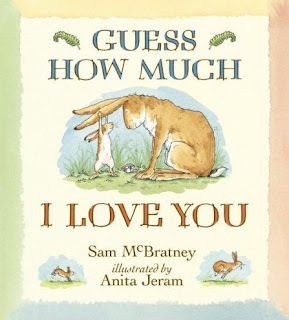 Finally, I just had to share three of my favourite books to read on this special day. In my heart is one of the most brilliant books I've come across to teach children about their feelings. 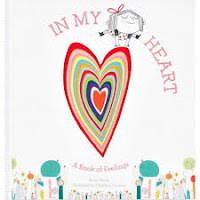 You could easily recreate some gorgeous heart art with paper hearts of different sizes similar to the book. 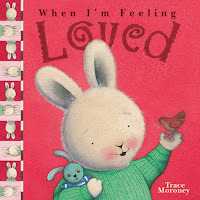 When I'm feeling loved is another nice one to give your little ones the warm and fuzzies and remind them that they are loved. 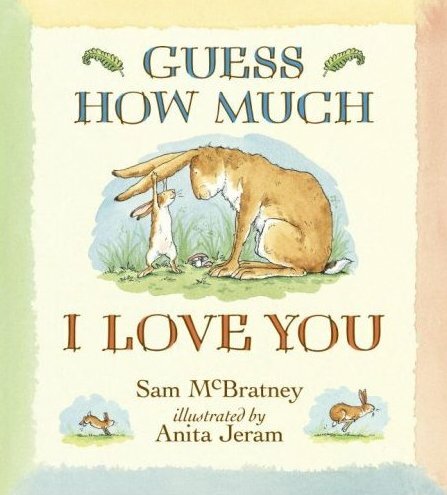 Guess how much I love you is one of my daughter's favourites - she loves to tell me how far she loves me. 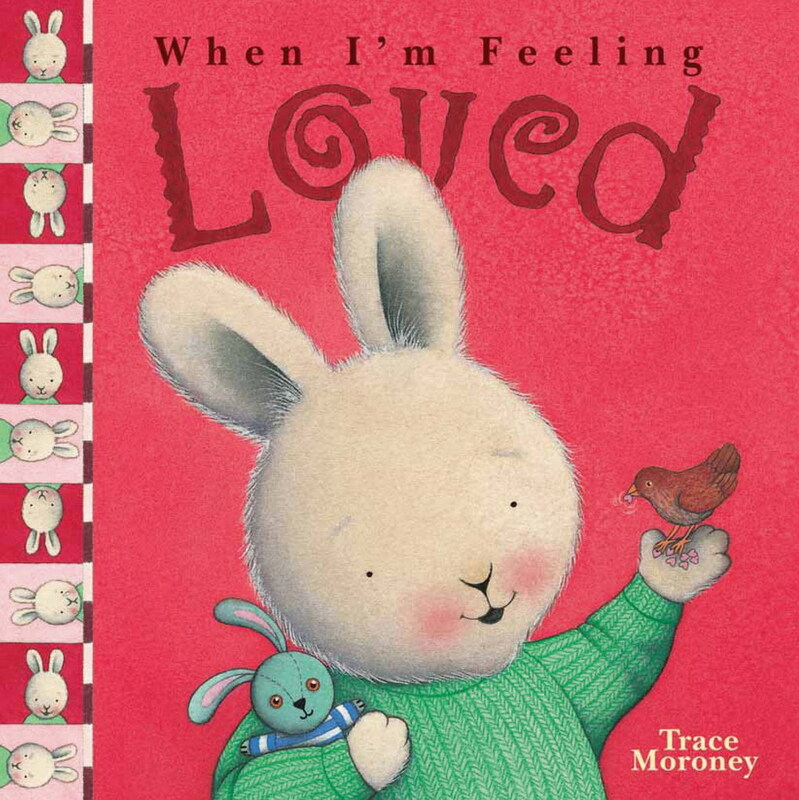 And if your little one is writing a card to someone, maybe they can write how far they love them!